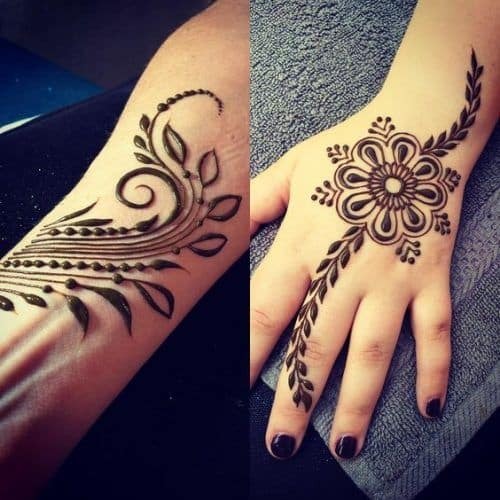 Arabic Mehndi designs are loved by everyone from beginners to professional. 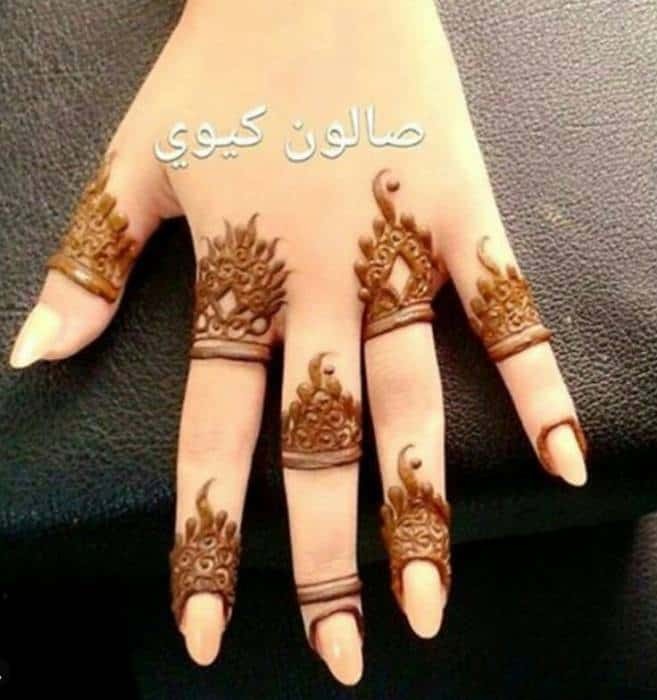 Today we have come up with 15 new ideas for beginners who love Arabic Mehndi design, but are looking for the simple one. 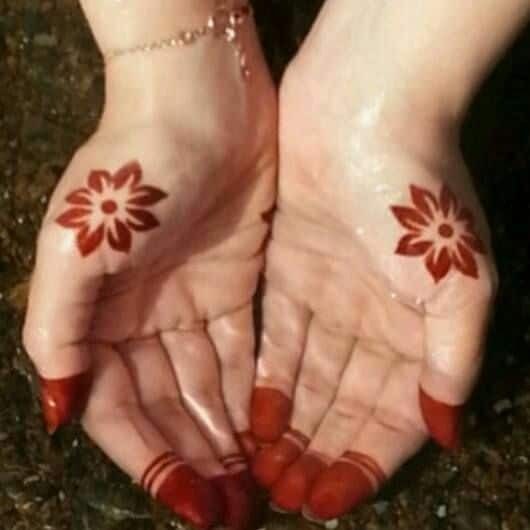 These Simple Arabic Mehndi designs are easy to make, but look-wise they are quite stylish. 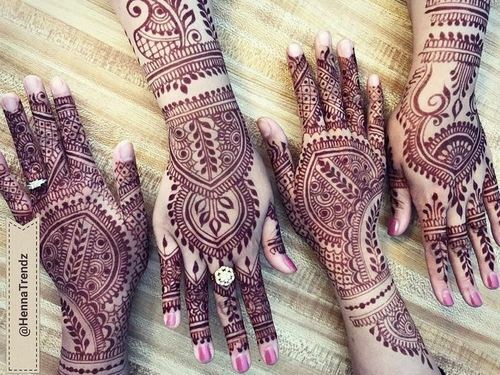 Let’s have a look at these 15 unique, but Simple Arabic Mehndi designs. 1. You can make a simple flower design and make this fine vine on both the sides. 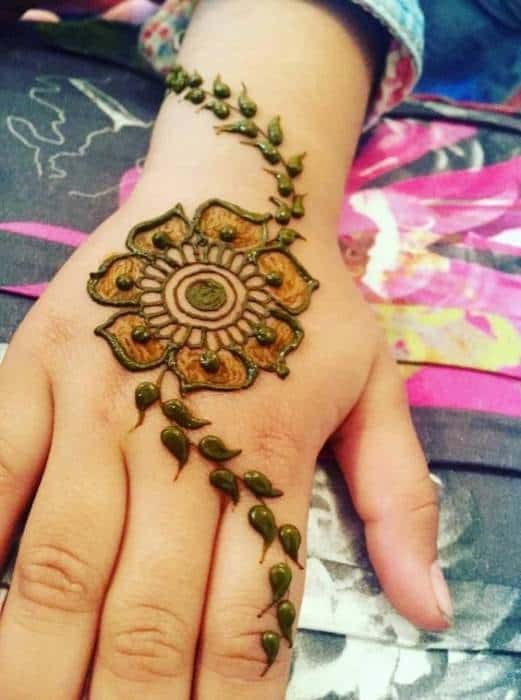 To give this design a fuller look you can shade the flower petals and add round drops of Mehndi to it. 2. This is a quite intricate design, but easy to apply. You need to make small concentric circles and repeat them in circle. Then fill the inner side of the circles with small checks and dots. 3. If you are looking for quick and stylish makeover for your hands, then you must try it. 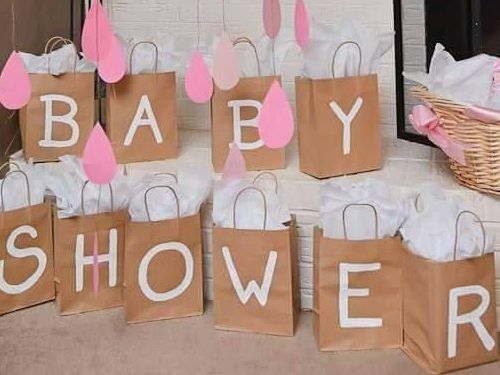 Draw a few round chains, two cute bows and two small feather designs and you are done. 4. You can make a style statement by just drawing a thumb ring and tiny rose flowers. 5. 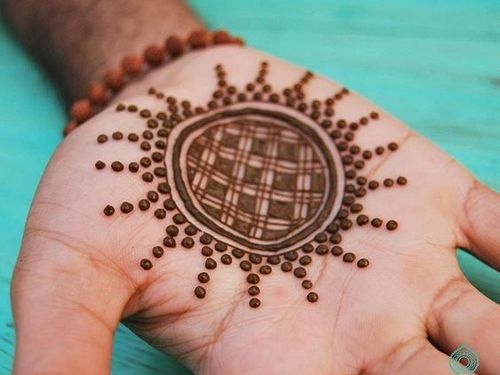 For this contrasting Mehndi look you need to apply henna on your finger tips and make a border in it. Then make the flowers on the outward side of the palm. 6. Draw rose petals on the fingers and complete the look with one rose flower on the end. 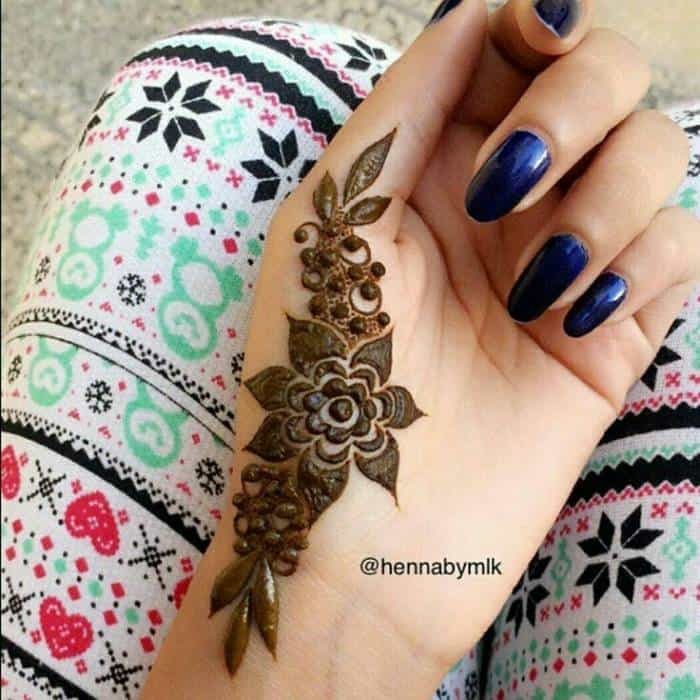 Fill the petals with henna mehndi for a bold look. 7. 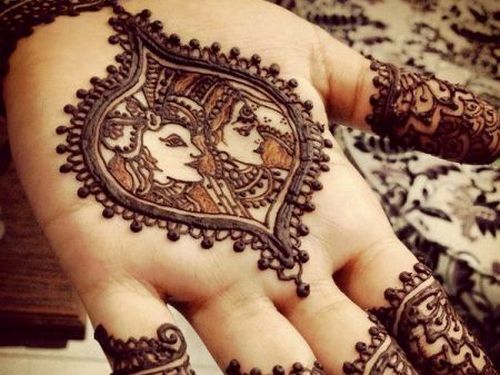 Great Mehndi design for your outer hands. Make a beautiful rose above the wrist and make simple design on the finger tip. 8. 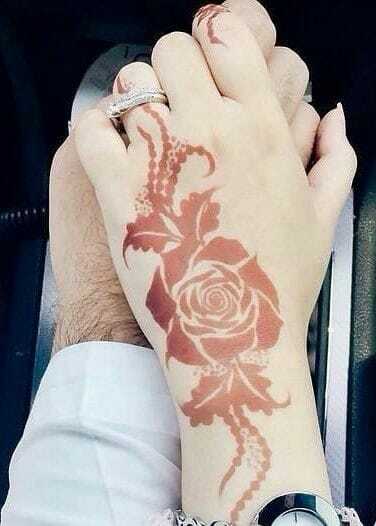 This finger ring design looks so sophisticated but is really very simple henna design. You just need to do it neatly. 9. It will take only few minutes to get this design in your hand. 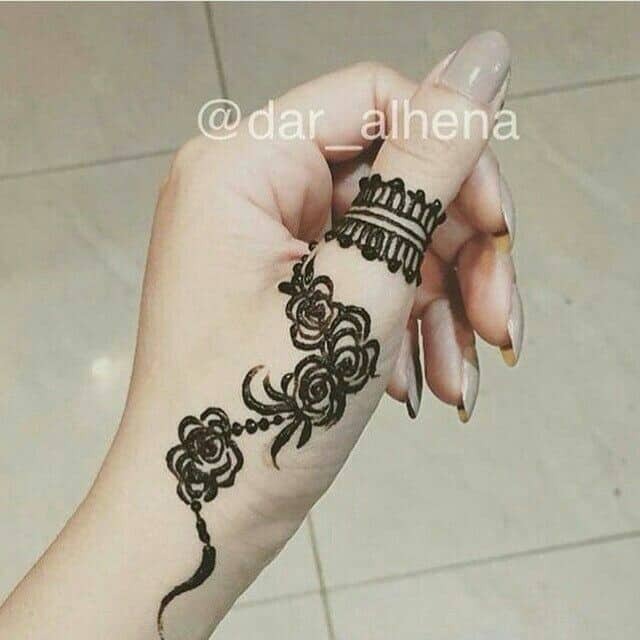 It will be very easy for you to master it if you know how to draw basic flowers and leaves in Arabic Mehndi style. 10. 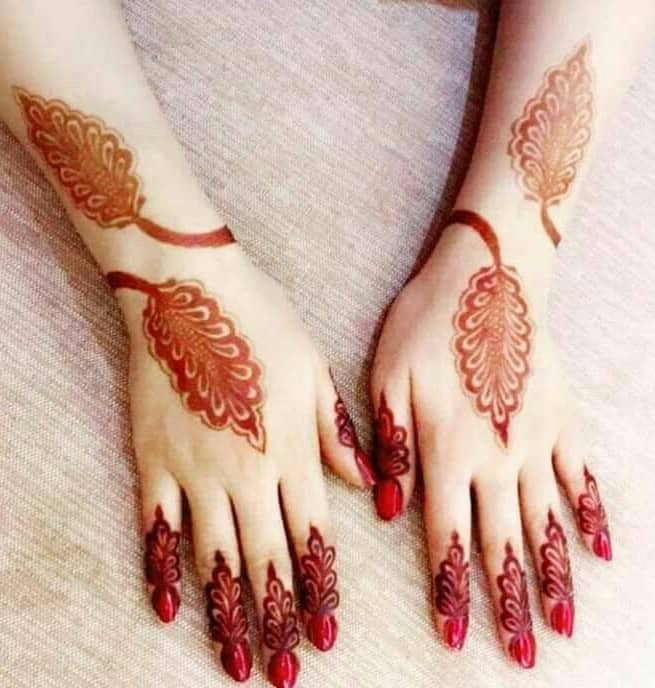 By just applying Mehndi at the specific position you can get this simple yet stylish Mehndi look. 11. 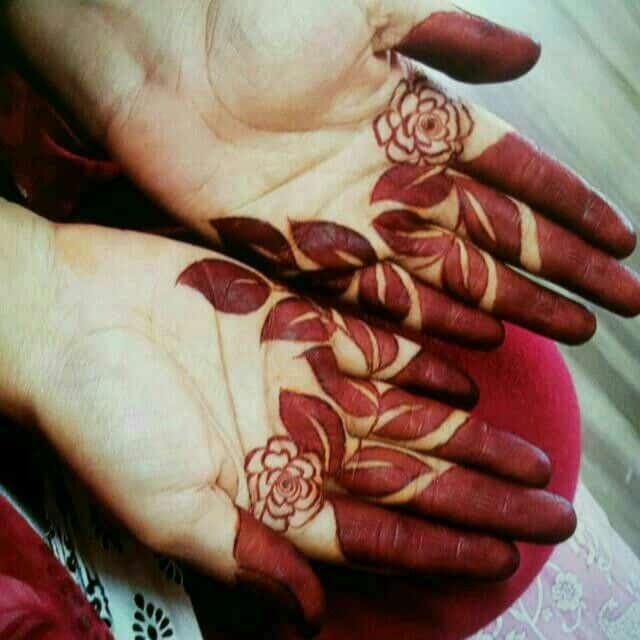 This beautiful rose Mehndi design is so simple and elegant that it will melt the bride’s heart. 12. Even the leaves can look so beautiful after drawing the leaves you just have to fill them and connect teeming a freehand style. 13. 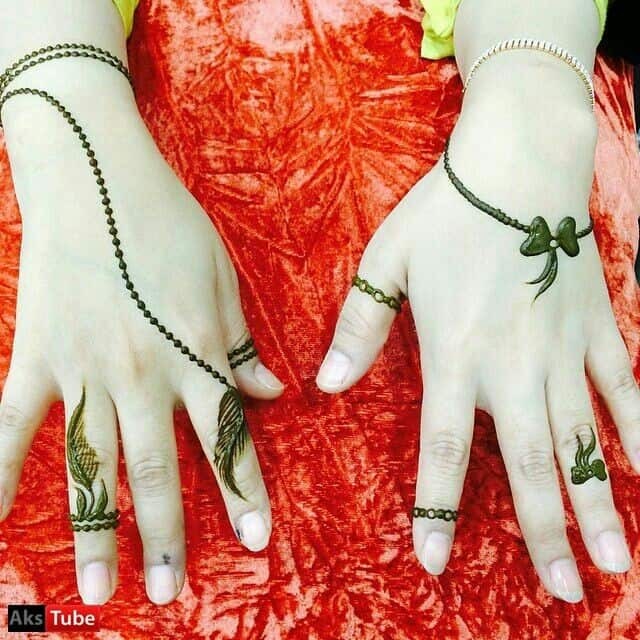 Beautiful and simple Arabic vines for trendy girls. 14. 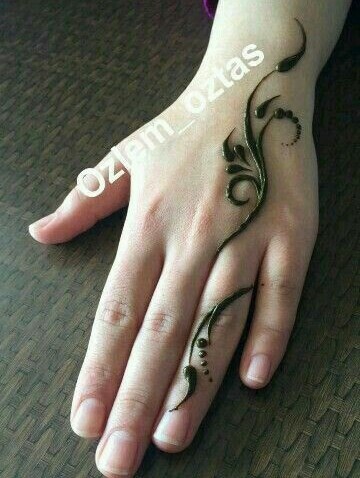 Simple and quick Arabic Mehndi design for lazy girls. 15. 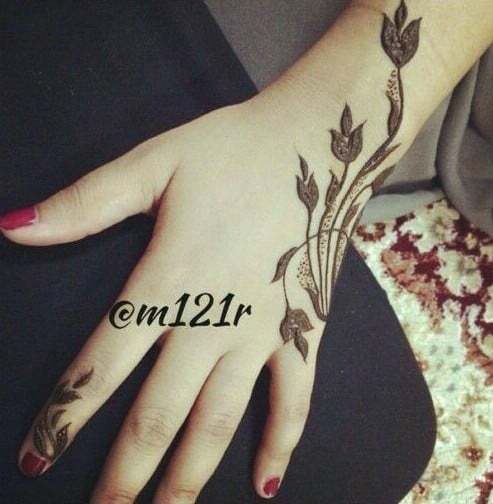 Beautiful and simple Arabic Mehndi designs, but you need to work very neatly on it to match up with this masterpiece. 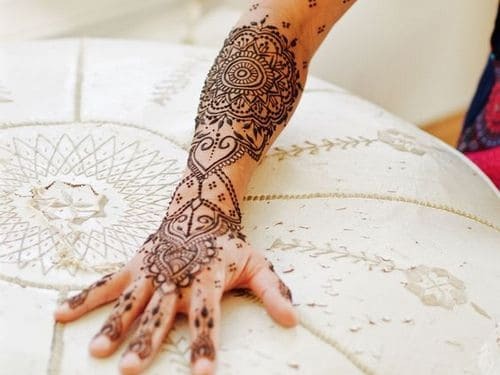 We hope you liked these 15 beautiful and easy to use Arabic Mehndi designs. 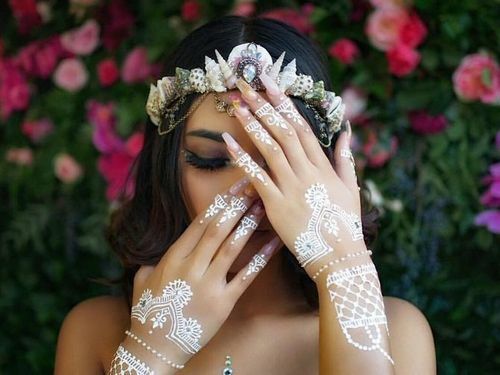 If you want more of Arabic henna designs, then head over to 30 Stunning Arabic Mehndi design for Festival season.